Many patrons who are reseaching genealogy at the library are looking for information about the lives of their Jewish immigrant ancestors. Among other resources, MHL patrons can access the Jewish Heritage Center (JHC) Collections through our subscription to the New England Historic Genealogical Society (NEHGS) AmericanAncestors database. 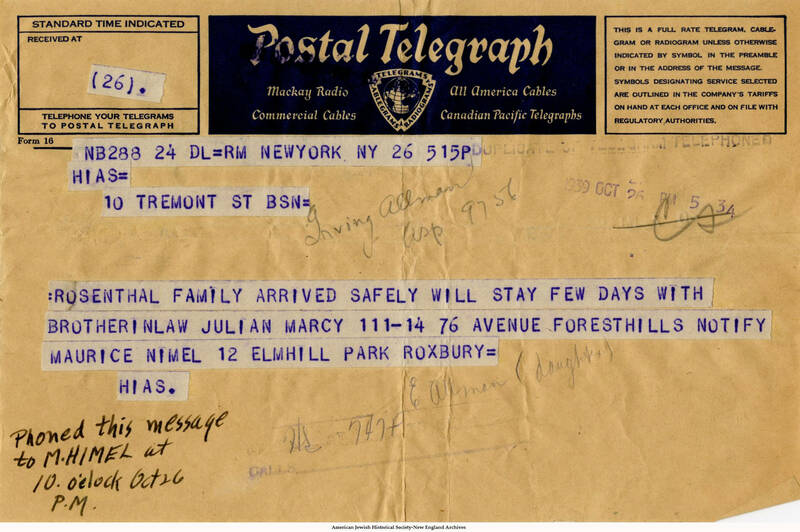 Genealogies and personal papers from hundreds of New England Jewish families and leaders. In addition to the JHC's digital collections, there are finding aids for hundreds of collections and resources that are not currently available online. These collections must be viewed onsite at the NEHGS with an research appointment. For more information about accessing the Jewish Heritage Center's digital collections online through the NEHGS American Ancestors website, email Local History Librarian Stephanie Aude at saude@mhl.org.